Introducing the newest addition to our beautiful collection of console tables, this beautiful Milo Console Table is a perfect addition to add to your home if you're looked to add a modern touch to your interior with minimal effort. 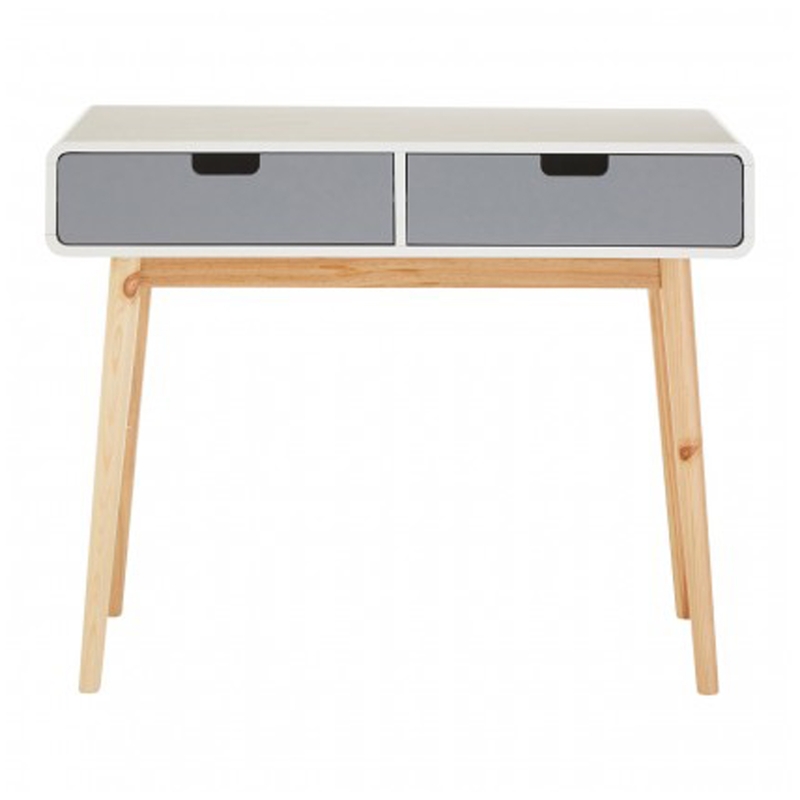 With four natural pine coloured table legs, this console table also features two drawers in a white and grey colour. Hand crafted to the highest quality it's ensured to last a life time.